Ex-lawmaker, arrested in the Italian resort city of San Remo on an international arrest warrant of the Ukrainian Interior Ministry, was also carrying another, Russian, passport, thus proving to be a citizen of the Russian Federation, according to the source of Europeiska Pravda, familiar with the details of arrest. Markov is suspected of committing a crime under Part 4 Article 296 of the Criminal Code of Ukraine (disorderly conduct causing bodily harm). After Ukraine’s ousted ex-president Viktor Yanukovych fled Ukraine, Markov also decided to hide on the territory of the Russian Federation. A representative of a "pro-Russian political wing" and head of the Rodina Party, Markov has been criticizing Ukraine's intention to sign an Association Agreement with the European Union and campaigned for closer relations with Russia and the Customs Union. Recently, Markov was a frequently welcomed on Russian television, where he criticized the current Ukrainian authorities. As is known, Markov after the change of power in Ukraine was hiding on the territory of the Russian Federation. In December 2014 the Interior Ministry announced Igor Markov wanted. Markov is co-founder of the so-called Ukraine Salvation Committee, which was presented last week in Moscow by Ukraine’s fugitive ex-Prime Minister Mykola Azarov. UNIAN memo. Ihor Markov was elected an MP in single-mandate constituency No133 in Odesa in the 2012 parliamentary elections, then joining the Party of Regions. 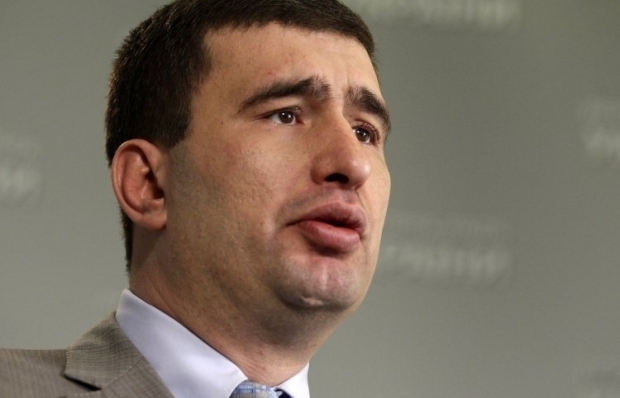 On September 12, 2013 the Supreme Administrative Court of Ukraine ordered the Central Election Commission to cancel Markov’s mandate for voting falsifications. In October 2013, police had arrested Markov on suspicion of beating the protesters in Odesa in 2007. Ministry of Internal Affairs referred to the events of 2007 when the nationalists held pickets near the Odesa regional administration against erupting of a monument to Catherine II. In February 2014, Markov’s mandate was renewed and he was released from custody.